Kodi Azari, MD, FACS is a Hand Surgeon, Microvascular Surgeon, and Reconstructive Plastic Surgeon. He is a full Professor of Orthopaedic Surgery and Plastic Surgery. Dr. Azari serves as the Reconstructive Transplantation Section Chief in the Department of Surgery and is the Medical Co-Director of Operation Mend which is a UCLA Heath System program aimed at providing complex reconstructive surgery for wounded service members injured in Operations Enduring freedom and Iraqi Freedom. Prior to his return to UCLA in 2008 he was the Director of the Hand Surgery Fellowship in the University of Pittsburgh Division of Plastic Surgery. He also served as the Chief of Hand Surgery at UPMC-Mercy Hospital. Dr. Azari received his General Surgery and Plastic Surgery training at the University of Pittsburgh Medical Center. He also completed a Tissue Engineering Fellowship at Carnegie Mellon University and a Hand and Microsurgery Fellowship at UCLA. Dr. Azari is board certified in Plastic Surgery and Hand Surgery. His clinical areas of interest include: all aspects of hand/ wrist surgery, microsurgery, reconstructive plastic surgery, peripheral nerve surgery, and aesthetic rejuvenation of the hand. Furthermore, Dr. Azari has been involved in both clinical and laboratory research for over 25 years and is the author of numerous research articles, book chapters, and presentations. He lectures extensively both nationally and internationally on hand surgery as well as plastic surgery. His current research interests include: upper limb, face, and abdominal wall transplantation. In fact, he has the distinct professional honor to have been one of the lead surgeons on 6 hand transplantation operations including the first double hand transplantation and first arm transplantation performed in the United States. 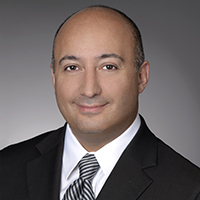 Dr. Azari has been elected to prestigious organizations including: American Association of Plastic Surgeons, American Society for Hand Surgery, American Association for Hand Surgery, American College of Surgeons, International Society of Hand and Composite Tissue Allotransplantation, and is a founding member of the American Society for Reconstructive Transplantation. Additionally, he was the Associate Editor for the Annals of Plastic Surgery, Guest Editor for Current Concepts in Organ Transplantation, contributing editor for the Yearbook of Hand and Upper Limb Surgery, and serves as a consultant reviewer to several peer reviewed journals.